University Communications Network > Ask Dr. Universe > Food and Health > What food is sweet and good to eat? It turns out we grow quite a few of those fruits right here in Washington state. Farmers in our state grow more apples and blueberries than any other state in the country. We also produce a lot of cherries. Humans have been eating cherries for a long time. Some cherry pits have even been found in Stone Age caves in Europe. Dark cherries and blueberries have a lot of chemical compounds that plants make and that our bodies need, Monsivais said. We call them phytochemicals. Monsivais said these kinds of fruits also have antioxidants, chemicals that protect your cells from damage. They may also be helpful for fending off type-2 diabetes, a disease that affects how the body processes sugar. He adds that many people who are diabetic and want something sweet may choose to eat blueberries. The body is often able to process the sugar from blueberries more gradually, so blood sugar doesn’t rise too rapidly. Pretty much all kinds of whole fruit contain fiber, a plant material you don’t digest, but that helps move food through your body’s digestive system. Most of us need more fiber in our diet, Monsivais said. Whole fruit is also high in potassium, a mineral most of us could use more of as well. Some have Vitamin C, which is important for keeping our skin, bones, and blood vessels healthy. A lot of fruit also has folate, a vitamin that helps us make our genetic material, or our DNA. It helps our body’s cells divide. Fruit is good, sweet fuel for our bodies. One of my new favorite fruits is the Cosmic Crisp, a big, juicy and crunchy red apple developed at Washington State University. Apples have also been shown to help support health, especially when it comes to heart disease, cancer, type-2 diabetes and even asthma. Finally, there’s chocolate. Like blueberries and cherries, dark chocolate also has a lot of phytochemicals that can benefit your health. But most of the benefits are in dark chocolate that has 70 percent or more cocoa powder. Some people find this type of chocolate kind of bitter. However, Monsivais said how we taste sweets can change based on how many sweets we regularly eat. The more sweet foods and sugars you eat, the less sweet other stuff tastes. If you want things to taste sweeter, it might help to eat less sugar. It’s also good to remember that it’s not just sweet foods that have sugars. They’re in a lot of the foods we eat, like sliced bread, salad dressing, and ketchup, too. As kids get older, they tend to like sweet stuff less and less. Some researchers have even investigated this idea. They made a sugary solution of water and sugar. Adults like about as much sugar as is in a can of soda. Kids preferred at least twice that much. That made me wonder, why do kids like sweets more than adults? Do you have an idea? 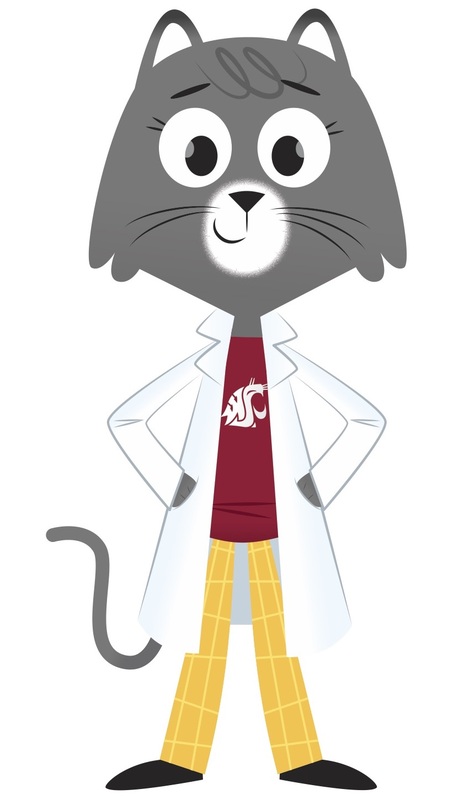 Tell us at Dr.Universe@wsu.edu. « Why do lizards lose their tails?